How to boost the American economy one bottle at a time! So we all love wine from various regions. But how can us passionate wine drinker’s help to boost our economic crisis. And with the 4th of July around the corner it made me think about this. Easy, drink more American wine. 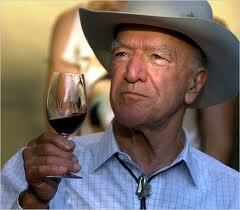 All 50 states now produce wine with California producing 89% of all US wines. Being a huge California wine lover, this is very easy for me to do. Let’s not forget Oregon and Washington, two other superb area’s for wine making. 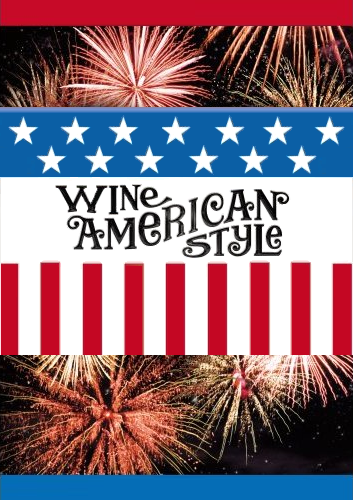 We have Society club’s, American wine blog awards. A true pioneer in American wine making and really jump starting the whole business is a huge fan of mine “Robert Mondavi” (RIP) An amazing man with such an incredible vision who gave so much of his life to the industry that no one will ever forget. Robert Mondavi, E & J Gallo, Columbia Winery, Beringer, Stag’s Leap Winery, and Kendall Jackson. So next time you are out shopping for wine or at a restaurant, order a domestic wine. Not only help our economy, help the domestic wine regions that supply us with such fabulous wines. Cheers to helping America prosper one bottle at a time! Our four father’s would be proud. A friend gave me this as a gift! So cute. This entry was posted in cabernet sauvignon, California, Chardonnay, Coppola Sofia, dry wine, Educational Tools, Meritage, Oregon, Pinot Noir, Summer Wines, Value Wines, Washington and tagged American wines, Beringer, Columbia Winery, Domestic wines, E & J Gallo, Kendall Jackson, Robert Mondavi, Stag's Leap. Bookmark the permalink.